Pistons, Passions & Sicilian Pleasures – an adventure that you cannot resist.- Presented by Francesco da Mosto & Alain de Cadenet from David Biggins on Vimeo. The island has experienced countlesss invasions through its turbulent past. The Lion’s Head found at Himera, a temple constructed close to the Targa Florio circuit, celebrates the victory in 489 BC of the Greeks over the Carthaginians. The invasions are numerous: Greeks, Phoenicians, Romans, Vandals, Byzantines, Arabs, Normans, Holy Roman Empire, Spanish, Austrian, French all interspersed with periods of anarchy; a rich cultural background! 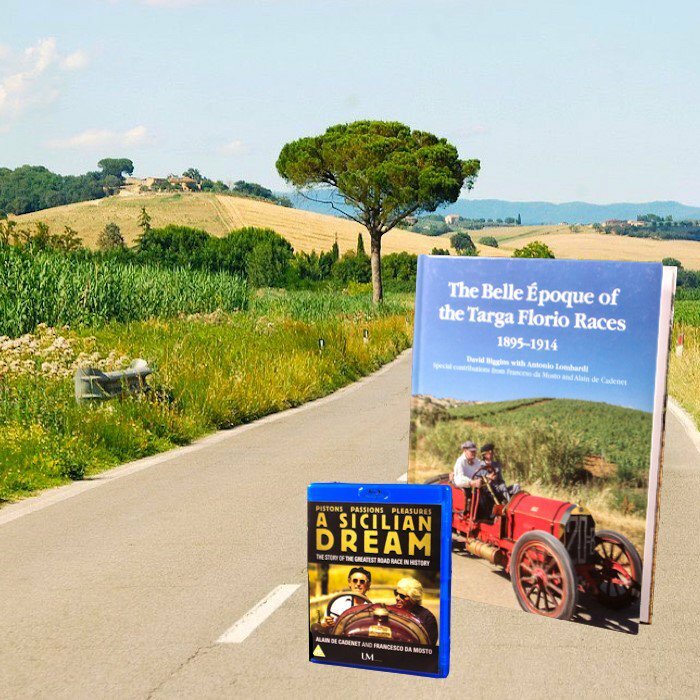 Many of the villages on the Targa circuit were strongly fortified against rival Sicilians. The story of the Leopard (Il Gattopardo) details the changes happening in 1860 when Garibaldi landed at Marsala and, with the help of a popular revolution, initiated the unification of Sicily to the mainland. Many of the peasants saw this as a god given chance to free them from the slavery and feudalism they had endured for centuries. Although now celebrating 150 years of being ‘Italians’, they remain first and foremost Sicilian. Benz, Mercedes, FIAT and his relationship with Felice Nazzaro flourished.